Live out loud in our Martina Natural Silver Fox Cowl in Sapphire for women. 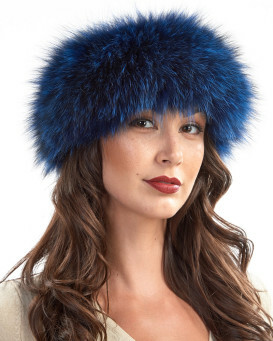 Plush natural silver fox fur is prevalent on both sides of the design dyed a lively sapphire shade for an exquisite piece. The leather encased magnetic closure allows you to affix this accessory to feel comfortable. 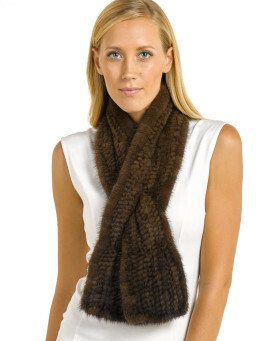 The versatile design can be worn as a scarf or collar to accentuate any outfit. This impeccable accent is one size fits all to make the best gift for the lucky lady in your life. Wear this cowl over a black outfit for an instant fashion statement you'll definitely love. "This is so beautiful, it looks exactly like the picture on the website. It's a very thick fur with a beautiful colour. I can't fault it, it has a magnetic clasp which is so easy to fasten /unfasten. The shopping experience was quick and easy, and the delivery was quick and came well packaged. I would highly recommend this website. Thank you so much." "This is such a beautiful piece. It looks exactly like the picture. The scarf is very soft and warm and looks very expensive. 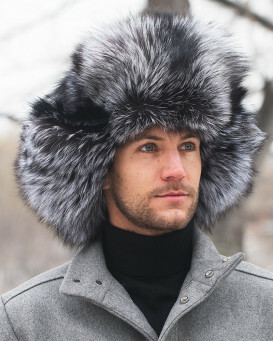 I highly recommend this fur if you want to be warm and look both elegant and stunning in it." "...took my breath away! 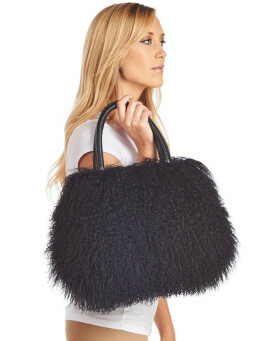 This item is simply gorgeous; so full - - extraordinary. I own many fur collars but none have the magnetic closure - - oh so comfortable and easy to use. With unlimited uses I have donned this item to enhance coats, blazers, dresses, and sweaters. The FurHatWorld website is easy to navigate and very responsive. I am impressed." "Bought it for my wife for Christmas. Looks better than in the picture. My wife loved it." "Overall, this scarf is absolutely beautiful and very warm!!" "I bought one for my girlfriend last year and we we're amazed on how soft and well maintained it was. 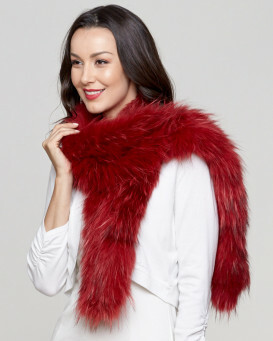 Very good product"
"Its exactly like the picture its beautiful, love the magnetic closure"
"Beautiful fur, the length of the collar was a bit short. However, will keep it"